Are you looking for a car that runs on electricity to handle your short drive on a daily basis? If you want one that’s attractive, offers a variety of colors for you to choose from, and has the features that make it easy to enjoy, the Fiat 500e can be the right choice for you. There are a variety of lease deals being offered for this car that can be the one you want when you head out on the roads around Sunrise, FL to take a drive. How does the Fiat 500e offer you a variety of choices that can make a difference for you when you drive? This is a car that’s offered with up to fifteen different color choices and new menu options that will ensure you have the ride you want on the road. 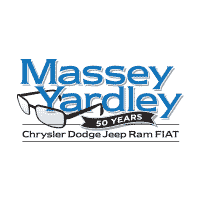 Check out what Massey Yardley Chrysler Dodge Jeep Ram Fiat in Plantation, FL has to offer you and secure one of the lease deals that will put you behind the wheel of this little electric car when you head out on the roads around Sunrise, FL. You’re going to notice that the Fiat 500e has a variety of colors to choose from, but only offers you three different trims to choose. There are no longer any stand-alone options for this car, but that’s a good thing as you can order the package you want and start to truly enjoy the drive in the electric car you want. There are a variety of lease deals for you to choose from and you’ll be able to make the right choice and have this car as the one you want to experience when you head out on the roads around Sunrise, FL. The Fiat 500e is a car that has several lease deals for you and can be enjoyed as a convertible model if you want. This car has a canvas roll-top design that opens up the cabin to let you experience the air outside while driving. This top can be opened at speeds as high as 60 mph when you’re driving it on the roads around Sunrise, FL. This is a feature you need to take a look at and consider as part of what you want to enjoy in the car that you drive that never has to be filled up with gasoline. Which version of the Fiat 500e are you going to drive from the team at Massey Yardley Chrysler Dodge Jeep Ram Fiat in Plantation, FL? This dealership has several lease deals that can make it easier for you to enjoy this car when you drive on the roads around Sunrise, FL. Check out the different colors and the three trims you can choose from in order to make sure you have the right car for your experience when you head out on the roads in your area. This is an easy car to love and drive and one that you’re sure to admire every day.